All electrical work guaranteed for 12 months! Established in 2004 – LF Electrical has been providing domestic electrical services to Foulridge and surrounding areas. 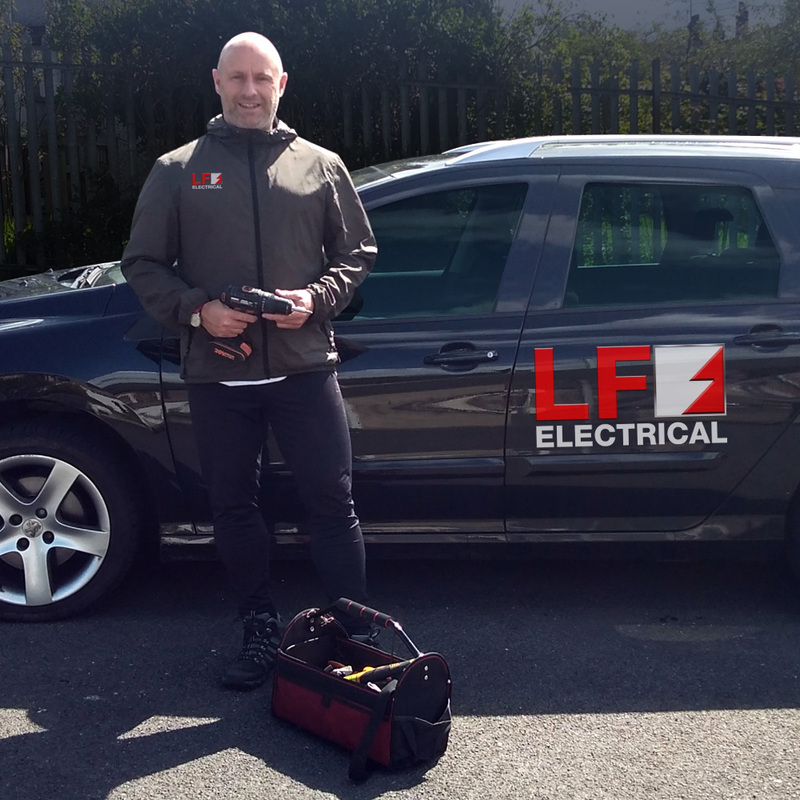 If you’re looking for a local Foulridge electrician look no further than LF Electrical. Over the years, we have gained an excellent reputation as a reliable, friendly & trustworthy electrical firm. Leigh Forrester, the business owner & fully qualified electrician has been working as an electrician for over 20 years! As trusted Foulridge electricians, we get a lot of repeat custom from our loyal customers because they know we provide a first class service at an affordable price. In addition to this we get many referrals and recommendations too – so you know you’re in good hands with LF Electrical. Whilst not on 24 hours call out, we will always do our utmost to respond to emergency call outs as soon as possible. When it comes to lighting, Foulridge electricians LF Electrical are the experts. We fit and install all types of lighting providing a wide range of options to choose from. New mains board & consumer unit installations & replacements. Replacing an old fuse board should only be carried out by a qualified electrician. Fault Finding & Tripping Mains Boards. Does your power keep tripping, are your sockets blowing or are lights flickering? No matter what the problem, we’ll fault find any electrical problem and get it fixed. Let LF Electrical install your new electrical appliances to ensure installation is carried out correctly and complies with national safety guidelines. All electrical work is carried out & guaranteed for 12 months by Leigh the business owner and a qualified Foulridge electrician with more than 20 years experience. For a free quote by a licensed Foulridge electrician call LF Electrical today. We’ll call and arrange a visit to quote on your requirements. Finding a good, local electrician who is willing to take on the smaller electrical jobs can be difficult. We welcome all small domestic electrical so get in touch! LF Electrical's work was fantastic for us, our electrical appliances were installed the next day after Leigh provided us a quote. I highly recommend LF Electrical electrician services to anyone in Foulridge. Leigh fixed the lighting problems that we were having at home. His electrical work is very professional. While Leigh was here, we also had him check our smoke alarm that had been beeping which he fixed in no time. Thanks for the great service! It's makes a real difference when an electrician turns up when they say they will! Leigh arrived on time and installed our cooker which looks fantastic! I highly recommended Leigh and LF Electrical.